​As with our Coast to Coast walk last year, we raised money for Spaniel Aid. This wonderful Charity is run completely by volunteers who own Spaniels themselves. They aim to advise owners of the dangers with advertising dogs on internet selling sites and to take into their care any dogs whose welfare concerns them. They have become increasingly concerned by the number of these wonderful dogs being offered for sale – or worse. Spaniel Aid place dogs into foster care and then assess them for rehoming to suitable “forever” homes thus giving many dogs a second chance. They need every penny they can get in order to provide this wonderful service. Due to the generosity of people who supported us (most of whom we have never met) we managed to raise nearly £4000 for the charity which is fantastic. The money will make such a big difference and will be put to good use - we have no doubt about that. As they say the devil is in the detail! We first started planning this 54 day journey ​roughly a year before we started. Having planned long distance walks before we were keen to get our accommodation pretty much boxed off in fairly short order. In addition to this, the question was posed as to when to start. We did not want to walk in the busy months of July & August as the path and accommodation would be busy therefore we plumped for May & June. By and large we had few problems actually booking our accommodation. Most B&Bs were happy to take a booking a year in advance although in May 2016 some did not have their 2017 diaries yet!! It was just a question of keeping tabs on what we had and had not booked via a simple Excel Spreadsheet. Due to having to cater for our dog Fudge, we found that some stops on our itinerary did not have any dog friendly accommodation therefore we had to think outside the box a little bit. Suffice to say we had 2 night stays in some places and utilised both local transport and B&B owners hospitality for lifts etc - this also meant that on occasion we would be able to walk with lighter packs which was a real bonus. Most B&Bs are generally ok with providing transport as long as you ask early enough and charges were very reasonable. Additionally, due to availability we had to stay off route on occasion and either walked to the B&B in question or caught a taxi/bus. Due to limited availability between Clovelly & Bude we stayed 4 nights in Coastguard Cottage, Stoke which is just off the path at Hartland Quay. We contacted Anna the owner and discussed an itinerary with her with a view to providing lifts to/from start points plus the feasibility of evening meals. This worked very well and we had a fantastic stay with Anna and her family. We also had problems with booking accommodation in the section between St Ives & Porthleven, particularly around Pendeen & Porthcurno. In the end we hired a cottage which was a 5 minute walk from the Bus Station in Penzance and provided us with a superb base for a week, allowing us a couple of rest days and the ability to wash our clothing on a regular basis. The bus service was extremely good in this part of Cornwall. Anyone walking the South West Coast Path should not underestimate how hard it really is. Sure there are some easy and relatively flat days but equally there are many brutal ones too. Whilst the ascents and descents are not long they are steep and there are many days where the up and down is relentless. 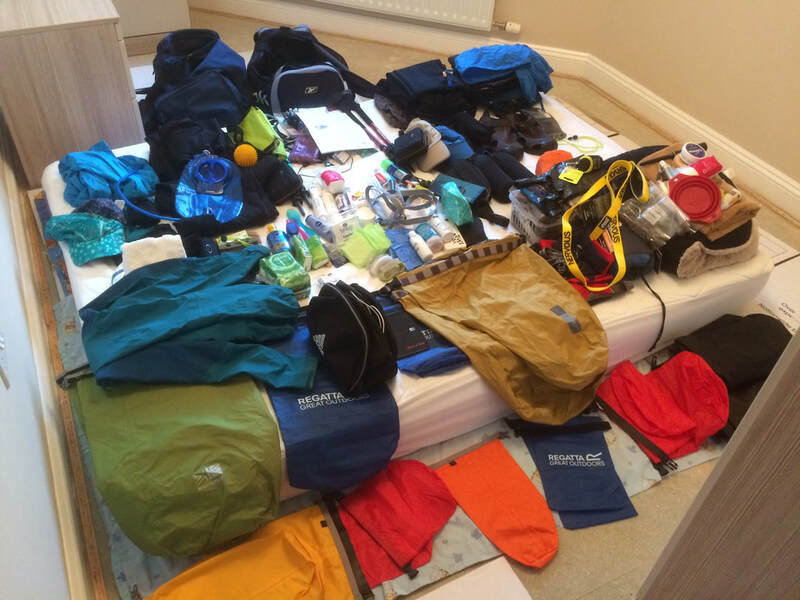 To prepare for this, it is recommended that in the preceding months you get used to walking with weight on your shoulders (particularly if wild camping or you are not using baggage transfer) and for a significant distance. We also made sure we did plenty of cardio vascular exercise in the lead up to the walk. Additionally, it does help to stretch out the hamstring, calf, groin and quads before, during and after each days walking. We thought long & hard about whether or not to use a Baggage Transfer service. Suffice to say, over 54 days it would have cost us a fortune therefore our mind was made up - we would carry everything we needed and the money saved on baggage transfer would be put to better use. To that end we invested in a couple of 75:100 Lowe Alpine Cerro Torre Rucksacks (opposite) - extremely comfortable and versatile with plenty of room. They do both a Gents & Ladies version. 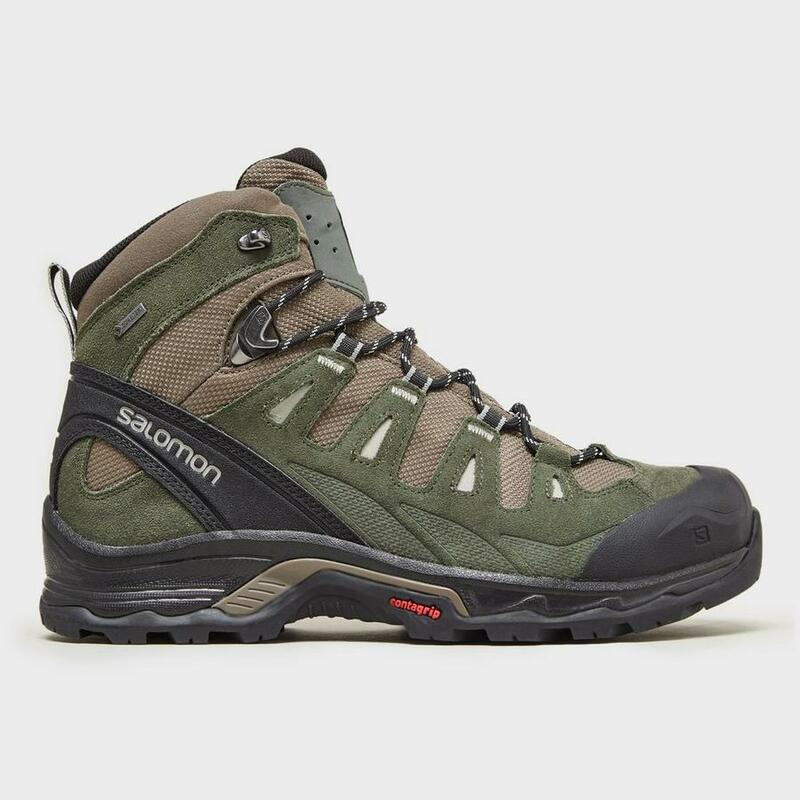 ​We both had Salomon Quest Prime Boots which are an extremely light, all terrain boot and very comfortable. We had these well worn in before we commenced the path but unfortunately they started to split & leak around Falmouth. Therefore as soon as we got back home they were duly replaced under warranty. A comfy boot but as far as longevity goes they under performed. 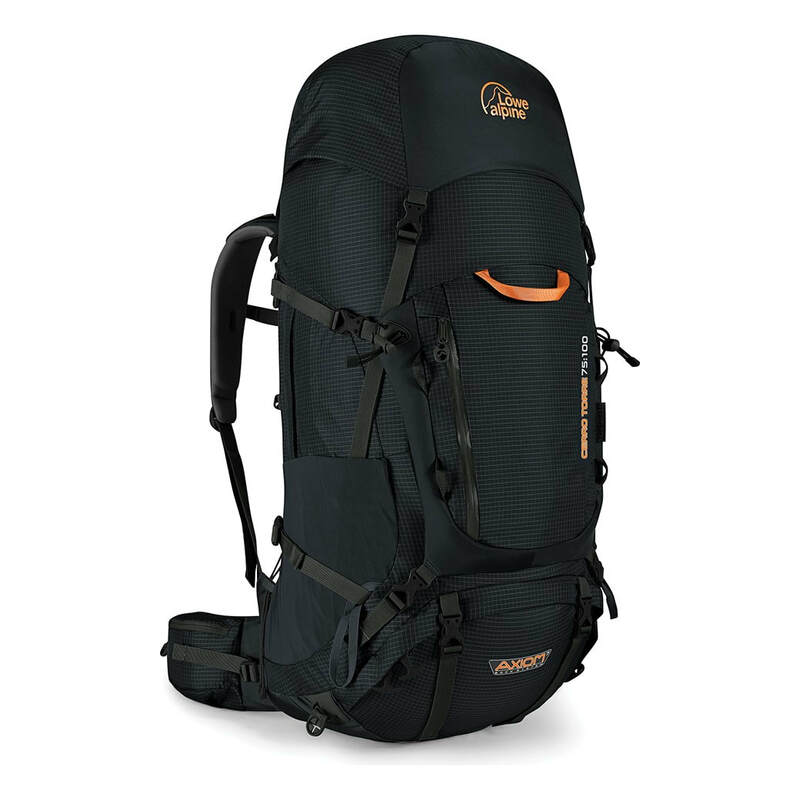 Depending upon space in your rucksack, you may wish to consider taking a pair of trail shoes for the flatter sections of the path. We were lucky with the weather for the most part therefore hardly wore a fleece. We both wore light walking trousers and a cool max t-shirt although when the wind did blow and on the occasions we had a bit of light rain then we wore our featherlite pull on jackets. The one opposite is the Montane version - we had the Rab (Dave) and a Paramo (Angie) version. 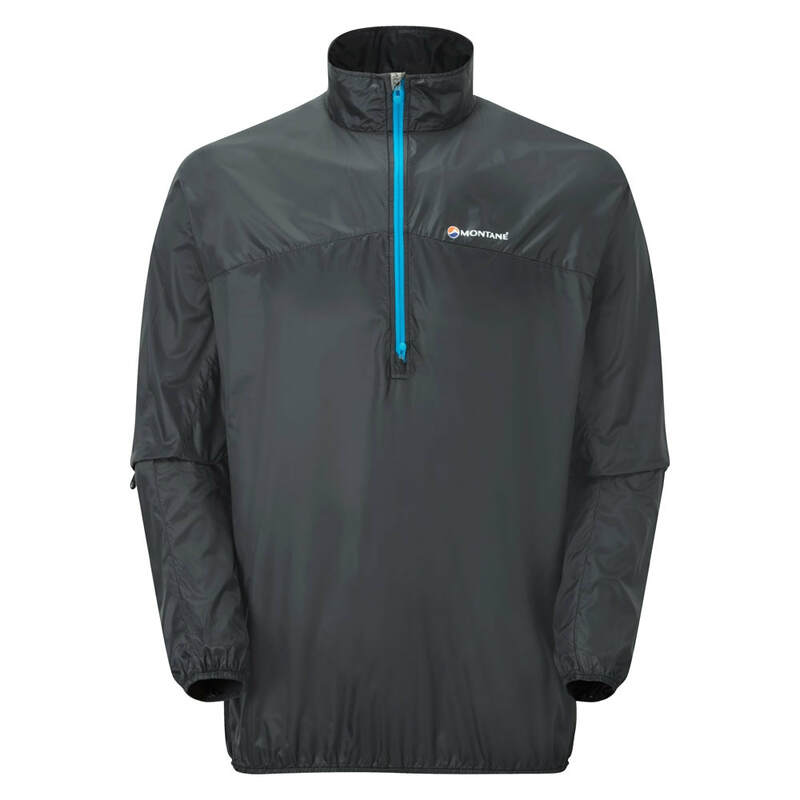 The jacket rolls up to nothing and weighs virtually the same. ​A fantastic piece of kit. 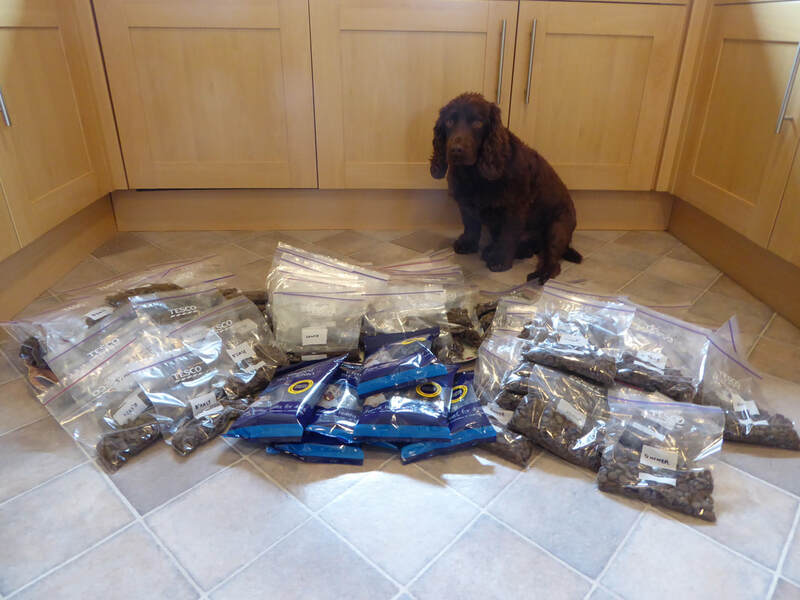 One of the main issues we had in the planning stage was what to do about our dog Fudge's food. Obviously we could not carry it all for the entire journey (although the weight would decrease daily) as it was simply too heavy. In the end we broke it down into 7 day chunks and sent packages on to various B&Bs. This worked very well and enabled us to keep our daily weight to a manageable level. As far as feeding ourselves then it was just a matter of getting as much calories inside us each day as we could. We tried to vary our breakfast intake as much as possible - lots of cereal & fruit plus the odd bit of fried food but not much. Lunch was normally snack bars, cake etc with a big meal in the evening. However, after a couple of weeks walking we began to lose our appetite for large meals after a walk and tended to eat more during the day. Water is vitally important on a walk such as this. We did ensure that we had places to top up on a daily basis and also made sure we got as much water into our system when needed. We had some pretty hot days during the walk therefore it was vital that our water intake was sustainable. Additionally, it was vitally important not to forget Fudge - he drank a lot on a daily basis and also took every opportunity to swim in the sea or river. Therefore, before leaving for the day we had a 2 Litre Camelbak each plus 2 x 1 litre water bottles for Fudge. Every opportunity was taken to top up whenever we needed to. The thought of having to carry a load of OS Maps knowing we would probably not need them filled us with dread. At the end of the day we decided to dispense with carrying the OS Maps and instead used the 3 Trailblazer Guide Books backed up by our trusty Satmap Active 10 GPS. Like before, we cut up the Trailblazer books and laminated the map pages. The advantage of doing this is because they are laminated then they do not disintegrate when wet. We did not carry all the laminated sheets with us but forwarded each section in the box with Fudge's food in. This worked very well. Before leaving for the start we did check that each B&B had received their parcels. Two extremely important aspects of the walk - forget to consider them as part of your planning is asking for trouble. We run off copies of each ferry timetable and took them with us, checking them on line the night before the relevant crossing. As for tides - we made sure that we knew the exact low & high tide times for the relevant days they would affect us. Considerations and how we managed both tides & ferries are contained within each days walking pages - suffice to say, the only real issue we had was on leaving Falmouth. In the main the Lulworth Firing Ranges are closed to the public on weekdays, irrespective of whether firing is taking place. On most weekends the range is open and therefore access to this section of the path is allowed. However there are some weekends when the range is closed. The link for al information concerning Lulworth Range is here at www.dorsetforyou.gov.uk/lulworth-range-walks. When planning our itinerary we knew that the range was closed during the time we were transiting through therefore we made alternative arrangements. Don't get caught out - the diversion is a long way! !